by Bruce Alberts et al. Cellular DNA is organized into chromosomes.… Figure 16.30 shows, at different magnifications, a strand of DNA, various intermediate structures that we will not discuss, and a chromosome as seen during the M phase of the cell cycle. The size goes from 2 nm for the DNA double helix to 1400 nm for the chromosome. 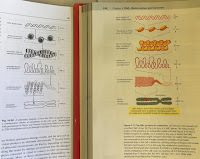 Figure 16.30 in IPMB is an illustration from the book Molecular Biology of the Cell by Bruce Alberts and his coauthors. 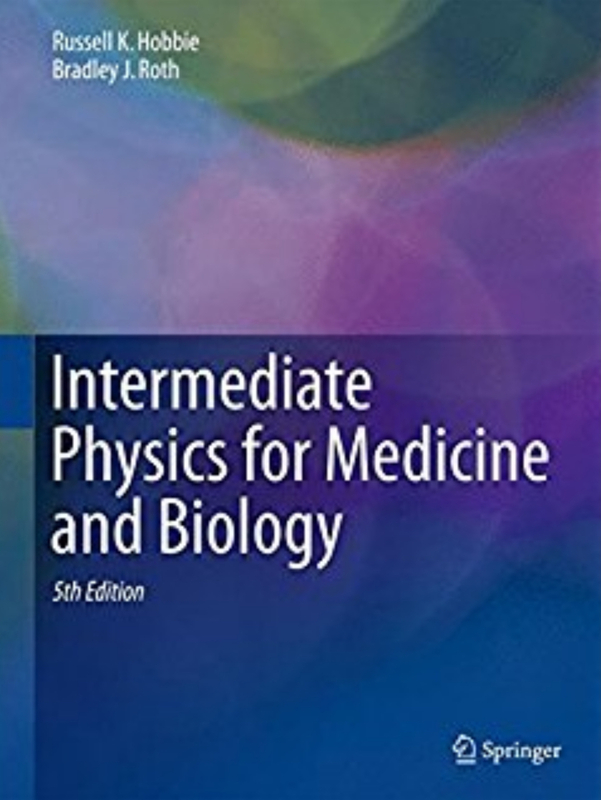 This acclaimed textbook is currently in its 6th edition (2014). 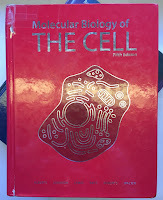 The Oakland University library has the 5th edition (2008), which I quote in this blog post. 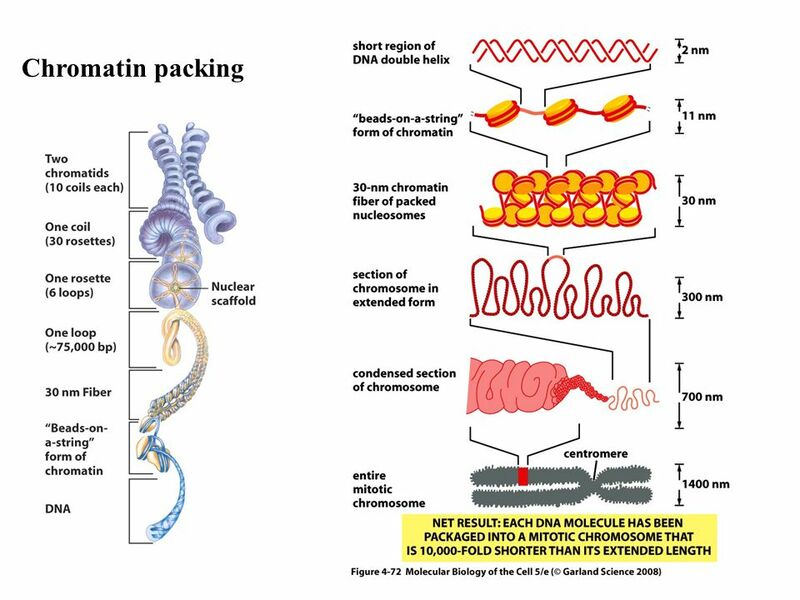 Figure 4-72 Chromatin packing. This model shows some of the many levels of chromatin packing postulated to give rise to the highly condensed mitotic chromosome. 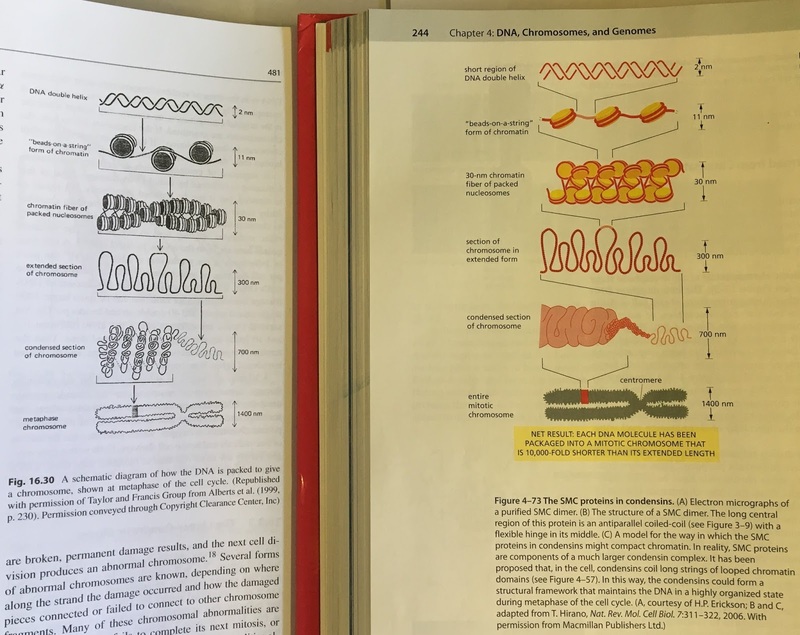 In this chapter we begin by describing the structure of DNA. We see how, despite its chemical simplicity, the structure and chemical properties of DNA make it ideally suited as the raw material of genes. We then consider how the many proteins in chromosomes arrange and package this DNA. The packing has to be done in an orderly fashion so that the chromosomes can be replicated and apportioned correctly between the two daughter cells at each cell division. It must also allow access to chromosomal DNA for the enzymes that repair it when it is damaged and for the specialized proteins that direct the expression of its many genes. We shall also see how the packaging of DNA differs along the length of each chromosome in eucaryotes, and how it can store a valuable record of the cell’s developmental history. The proteins that bind to DNA to form eukaryotic chromosomes are traditionally divided into two general classes: the histones and the nonhistone chromosomal proteins. The complex of both classes of protein with the nuclear DNA of eukaryotic cells is known as chromatin. Histones are present in such enormous quantities in the cell (about 60 million molecules of each type per human cell) that their total mass in chromatin is about equal to that of the DNA. Histones are responsible for the first and most basic level of chromosome packing, the nucleosome, a protein-DNA complex discovered in 1974. When interphase nuclei are broken open very gently and their contents examined under the electron microscope, most of the chromatin is in the form of a fiber with a diameter of about 30 nm (Figure 4-22A). If this chromatin is subjected to treatments that cause it to unfold partially, it can be seen under the electron microscope as a series of “beads on a string” (Figure 4-22B). The string is DNA, and each bead is a “nucleosome core particle” that consists of DNA wound around a protein core formed from histones. For those who prefer videos over text and illustrations, below are two movies about how DNA is packaged in a cell. 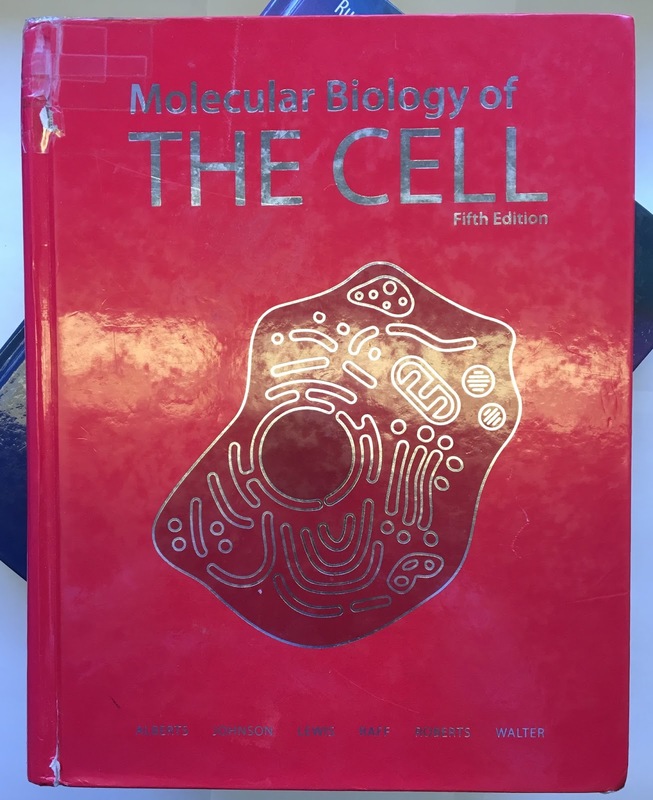 I hope this post helps readers of IPMB understand better those “various intermediate structures that we will not discuss.” For more details, I recommend Molecular Biology of the Cell.